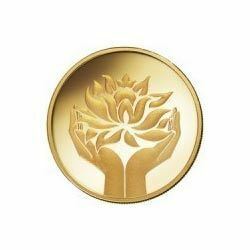 We have gained a remarkable position in the market that is involved in offering 2 Gram 999 Gold MMTC Pamp Lotus Coin. Incorporated as a Sole Proprietorship owned firm, in the year 2014, we, Silvera have put in enviable niche within very short period of time. Our company is engaged in manufacturing, supplying, trading and exporting a broad array of Silver Round Coin, Silver Bar, Silver Flower Coin, Ganesh Coin and many more. Our products are manufactured using premium quality material, which we procure from the reliable vendors. The quality of whole assortment is stringently examined on define quality parameters before, we make them available into the market. We exports 6% of our products in USA, Canada and Rest of the world.